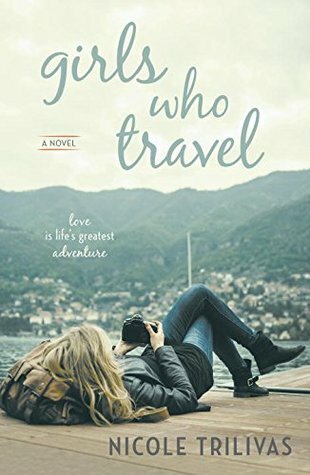 Goodreads: There are many reasons women shouldn’t travel alone. But as foul-mouthed, sweet-toothed Kika Shores knows, there are many more reasons why they should. After all, most women want a lot more out of life than just having fun. Kika, for one, wants to experience the world. Kritters Thoughts: Kika has a passion for travel and doesn't feel right in one place for long, she has to stay still for a moment to make money to keep funding her travel and when her job situation goes bust she must find something else to keep the travel dream alive. I love travel, but not like Kika so first let me say I loved reading her passion for travel and it was completely inspiring! Although at moments this book felt like a lot of other books. Girl thinks the current boy is great and new boy enters her life and she doesn't even notice and then he sweeps her off her feet! But I think this one had hints here and there that made it still feel original and different. Even though it isn't beach read weather, when I finished this one I wanted to read it again while on vacation! Her earnest wish for travel really rubbed off on me and made me want to take this book on a trip.